1. Any complaint, representation, appeal legal suit for redressal of examination related grievance shall have to be submitted with in 30 (thirty) days from the date of publications of the result. 2. Candidates who wish to apply for revaluation of their answer scripts should apply in prescribed proforma by paying the prescribed fee of Rs.500/-(rupees five hundred only) for each paper by way of demand draft in favour of registrar, dr brau, through the principal of the college where the candidate has studied within 15 days of publication of results i.e., on or before 11-06-2018. 3. Candidates who wish to apply for verification of their answer scripts should submit their requisitions through principals of the colleges where they have studied by paying rs.800/- ( rupees eight hundred only) for each paper by way of demand draft in favour of registrar, dr brau, sklm within 15 days of publication of results le on or before 11-06-2018. Zerox copy of answer script will be supplied to such candidates for verification only. The University, initially known as Andhra Pradesh Open University, was set up on 26th August 1982 through an Act of the A.P. State Legislature (APOU Act 1982). 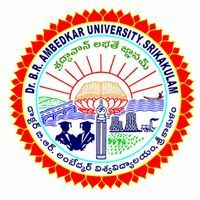 Subsequently, the University was renamed as Dr. B.R.Ambedkar Open University on 26 October, 1991 by the Government of Andhra Pradesh. The establishment of this University, the first of its kind in India, heralded an era of affirmative action on the part of the Government of Andhra Pradesh to provide opportunities of higher education to all sections of society to meet the changing individual and social needs. All the programmes offered by the University are recognised by the University Grants Commission, New Delhi. The motto of the University is “EDUCATION FOR ALL”.